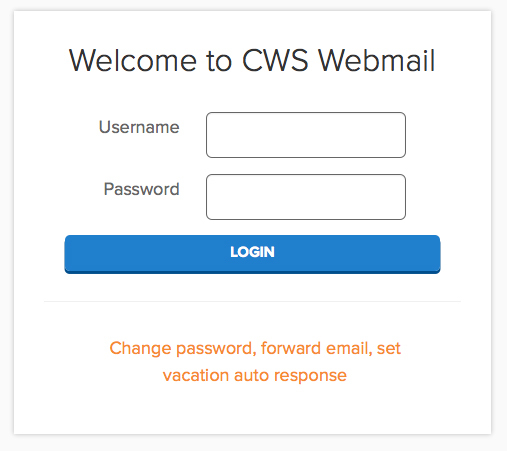 There is a web interface for your mail on http://mailbox.cws.net as shown below. 1. To change your password for your email login, click on the Change password link below the login. 2. Enter your email and password to login. 3. Now click on the Change Password tab. 4. Now enter in your current password and your new password twice, then hit Change Password and you are done.